A Kirkus Indie Books of the Month Selection for July. Francis Bacon is charged with investigating the murder of a fellow barrister at Gray’s Inn. He recruits his unwanted protege Thomas Clarady to do the tiresome legwork. The son of a privateer, Clarady will do anything to climb the Elizabethan social ladder. Bacon’s powerful uncle Lord Burghley suspects Catholic conspirators of the crime, but other motives quickly emerge. Rival barristers contend for the murdered man’s legal honors and wealthy clients. Highly-placed courtiers are implicated as the investigation reaches from Whitehall to the London streets. Bacon does the thinking; Clarady does the fencing. Everyone has something up his pinked and padded sleeve. Even the brilliant Francis Bacon is at a loss and in danger until he sees through the disguises of the season of Misrule. This series of historical mysteries features the philosopher-statesman Francis Bacon as a sleuth and spymaster. Since Francis prefers the comfort of his own chambers, like his spiritual descendent Nero Wolfe, he sends his pupil, the handsome young Thomas Clarady, out to gather information. Tom loves the work, not least because he meets so many interesting people, like Lord Burghley, Sir Walter Raleigh, and Christopher Marlowe. 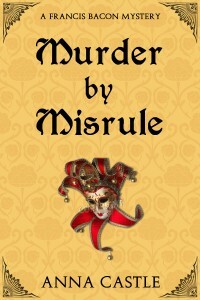 Murder by Misrule is the first book in the series. Anna Castle has been a waitress, software engineer, documentary linguist, college professor, and digital archivist. 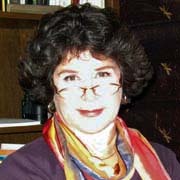 Historical fiction combines her lifelong love of stories and learning. She physically resides in Austin, Texas, and mentally counts herself a queen of infinite space. It would never have occurred to me to cast Francis Bacon as the lead in a mystery. I mean, I’m reasonably familiar with his place in history, and I spent more than one summer doing Shakespeare camp when I was in high school (yes, there IS such a thing), but still, it takes a very special author to come up with a premise like this one. Anna Castle is clearly a very special author, because not only did she come up with the premise, she makes it work. No, not work, she makes it sing, dance, and speak in perfect Latin quips alternating with iambic pentameter. Her portrayal of Francis Bacon may not be identical to the way he’s presented in history classes, but that’s okay, because he’s totally believable as a rather delicate intellectual who relies on his minion (assistant) to do the heavy lifting – or fencing, as the case may be. 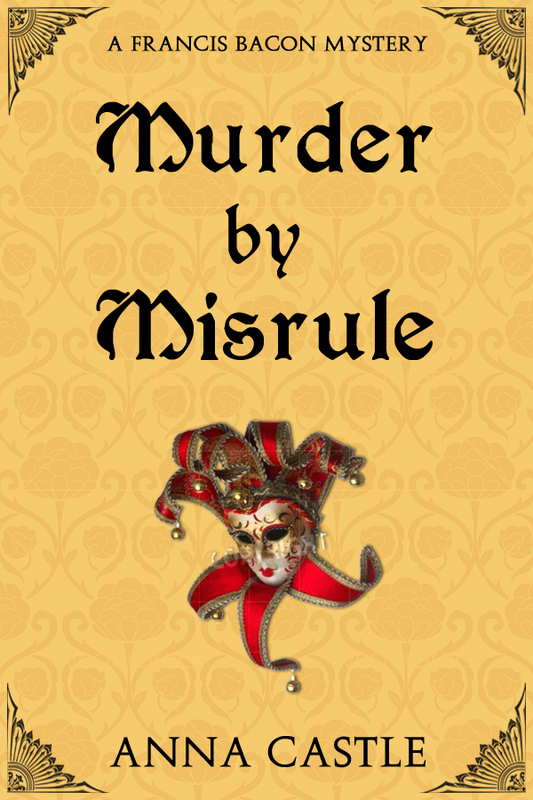 Written in contemporary language, Murder by Misrule is both a glimpse into the life of those who were part of the Inns at Court (more like dorms than our modern perception of an inn) and a rollicking adventure centering around a murder. There’s political intrigue, career advancement, and, of course, the season of Misrule to contend with. Promotional materials compare Castle’s version of Francis Bacon to Nero Wolfe. As someone who cut her mystery-loving teeth on the latter, I have to say that while I see the resemblance, I think Bacon is a richer character, and the world he inhabits, and those he shares it with, all feel more real to me than Rex Stout’s version of New York ever did, and for me, his era was also an historical period. If you want a great story, full of amazing characters, and good dose of history (with maybe a little bit of embellishment) you simply must read Murder by Misrule. You won’t be sorry. Goes well with a rainy day, a hearty stew, brown bread, and a good stout. This review is part of a blog tour organized by Historical Fiction Virtual Book Tours, who provided me with an ARC of the book so I could review it impartially. For more information, or the complete list of tour stops, click HERE.